Our ornate boxes are multi-purpose and are well suited for decorative food packaging, party favors, hobby and craft projects. 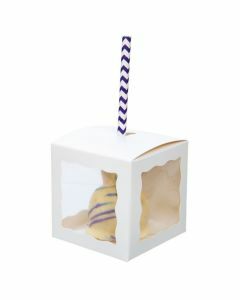 Cake pops get a fancy look in a box designed just for them. 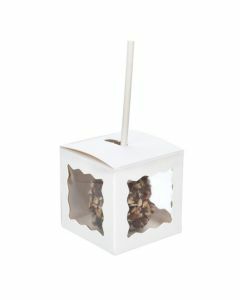 WGWG347 is our 2" x 2" x 2" white Kraft box and is perfect for a single cake pop. The three-sided clear window has scalloped edges and an inner lining. 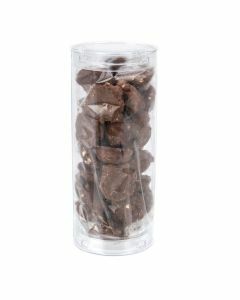 The pre-cut hole offers an optional opening for a stick or can remain closed to package mini cupcakes or loose candy. Food safe. Nothing says "cute" like this mini takeout box. 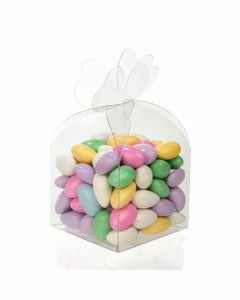 Our FS281 box measures 2 3/8" x 2" x 2 1/8" and is perfect for decorative food and gifts. 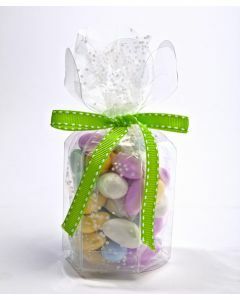 Package candy, smaller macarons, cosmetics, crafts, favors, and more. This gable-style box is designed with a die-cut handle for a charming display. Stickers are included for secure closure. Food safe. 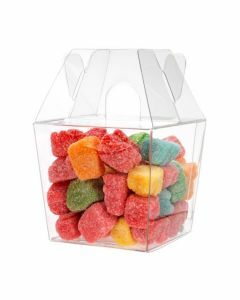 Our clear mini takeout box is the perfect way to create an eye-catching display. 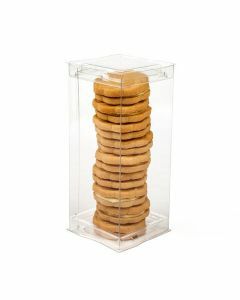 The FS282 box is our clear mini takeout box that measures 2 3/8" x 2" x 2 1/8". Package candy, smaller macarons, cosmetics, crafts, and more. The gable-style design and die-cut handle are a charming touch for gifts and favors. Stickers are included. Food safe. Crystal clear tube sets offer a unique packaging solution for food and retail products. 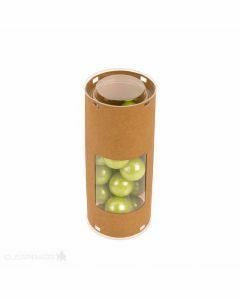 This CTRS26 round shaped tube kit measures 2 1/2" x 2 1/2" x 6 1/16" and offers an eye-catching display for candy, cookies, small toys, crafts, and gifts. 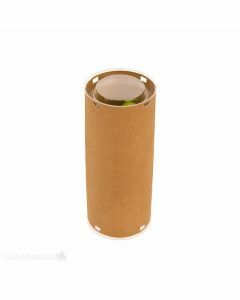 The set comes with two thermoformed lids and is easily assembled. Heat sealable. Food safe. 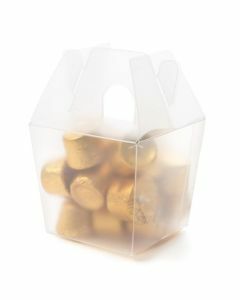 Our white Kraft box with ornate windows is perfect for a fancy cupcake. WGWG348 is our 3" x 3" x 3" box in white Kraft with a 3-sided window, designed with scalloped edges. This box fits a standard single cupcake. A pre-cut hole is optional to accommodate a stick or topper. An inner lining allows easy loading. Package cupcakes, brownies, and more!